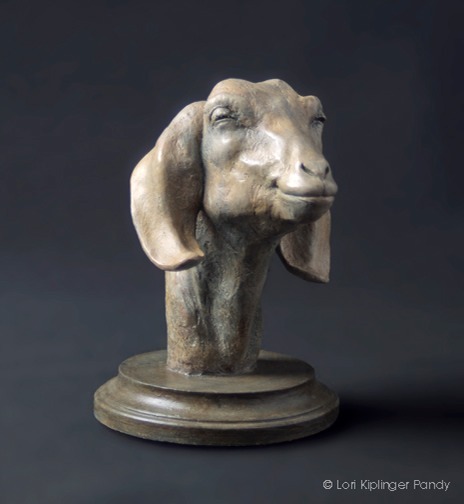 Goat Sculpture in Cast Stone: Boer Goat art for sale. 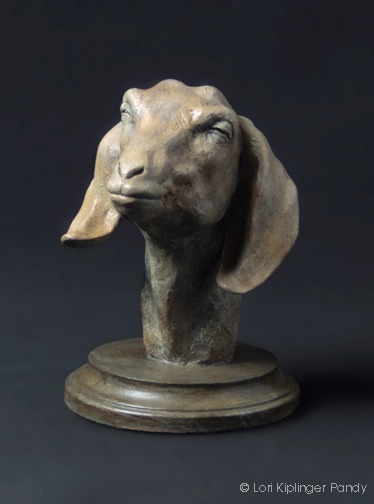 Back when I was illustrating books I was contacted by Nancy Lee Mervar of Indian Gap Press about designing and illustrating her books about her Boer Goats. Her ranch is located less than an hour away in the Rockies and it was a delight to visit her menagerie there. The boer goats were simply delightful and sitting on the rocks in the mountains with these funny guys hopping around like popcorn and climbing up on your back made for one fun day. I never get over their faces - always smiling and so full of personality and mischief and a favorite at 4H events and shows. 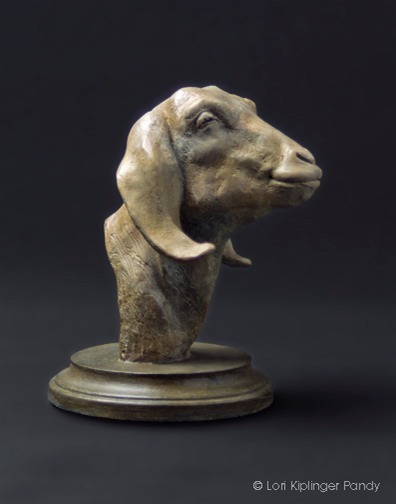 This limited edition cast stone goat sculpture is less than $300 and can be purchased directly through the artist. Made in the USA with hand-applied patinas and waxes.